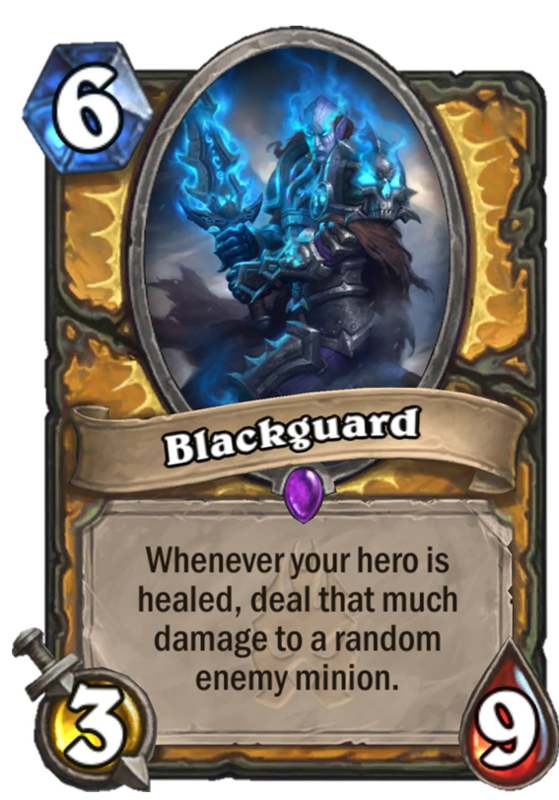 Blackguard is a 6 Mana Cost Epic Paladin Minion card from the Knights of the Frozen Throne set! What about that time Reno Jackson single-handedly killed a 29-29 C’thun? Really interesting card. 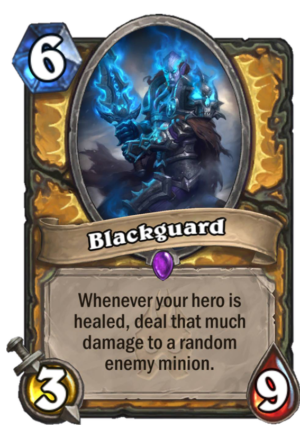 9 health makes it really difficult to remove especially for 6 mana, and Paladins have a lotttt of healing tools that they play. Forbidden Healing can be a powerful combo with this on 10 mana. Play this, Forbidden for 4, deal 8 damage to a minion on board. Then you have cards like Truesilver, Ivory Knight, the DK weapon, Lifesteal effects in general…the list goes on, and you can have this deal so much damage to minions on board. Paladin has some of the most flexible healing tools in the game, and this takes advantage of it. If there’s a card that’s going to be a guaranteed fit for a Control Paladin deck in the works, this will be it. As others have pointed out because of it’s extremely high health there are very few removal cards this mini9n is vulnerable towards. You can also get immediate benefits if you already have an effect that would Healy you on the board like a lifesteal minion or weapon, the friendly bartender, or other similar card. 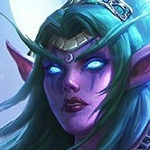 The only question I have is that 8t still does the damage even if your hero is at full health? I think not. You need to actually gain like for the healing effect to count. Also I think if you are at, say, 25 life, and you heal for 10, this card would do 5 dmg to a minion, because thats the amount you efectively healed for. 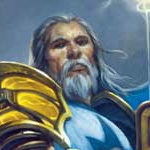 Pally is a pretty good class to have that (maybe even moreso than Priest), though I’m not sure if it’ll see play still. Having the thick body is good though, but the random aspect of the damage can be tough. I don’t see a pally deck that really wants to run this at the moment, so I’m gonna give it a pass. No offense. But every comment I’ve seen from you. You say the card won’t see play. 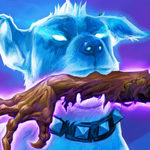 Do you think the expansion is that bad? I’ve been positive on more than zero cards in this expansion, but when it comes to constructed, it pays to be pessimistic, especially when you consider how many cards are going to be in standard after this expansion. 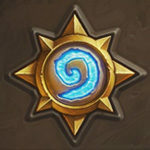 With so many cards, there are going to be a TON of cards that aren’t going to see play. As in, a card can be good and still not see play. We might live in a world where only great or better cards see play. Also, it pays to have low expectations so that you’ll never be disappointed, only confirmed or pleasantly surprised. If you gave this card lifesteal and attacked with it, would you theoretically have a full board clear? (Assuming your hero is at low health). I’m not sure if this would work or not. If your opponent heals themselves, does it damage your own minions? It’s either bad or it’s nuts. Yes it’s weak to a 2cast card from Priest, but cmon, that’s one class. At 6cc, it’s going to survive a turn, and have 7 mana available. Seems so hyperflux. If you don’t have the board most late game enemies can value trade into it. Seems decent after the deathknight though. Correct me if I’m wrong but I don’t think we’ve ever seen this exact statline and my guess is it’s a pretty good one. The potential of the effect is definitely there as a result. Just a little weak against priest lol. 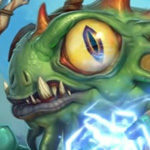 Bolf Ramshield had the exact same statline, as well as the same Mana Cost. Bolf can not exactly be counted in. Bolf was pretty suicidal, died almost everytime. Okay thanks for reminding me but in my defense bolf is easy to forget about. His effect was downright terrible. FYI Bolf Ramshield was a 6 mana 3/9. That’s the only example I can think of. Or 10 mana this and forbidden healing for 8 damage random enemy. 6 mana for this card + 4 mana forbidden healing = 3/9, 8 healing, & 8 random damage, right?